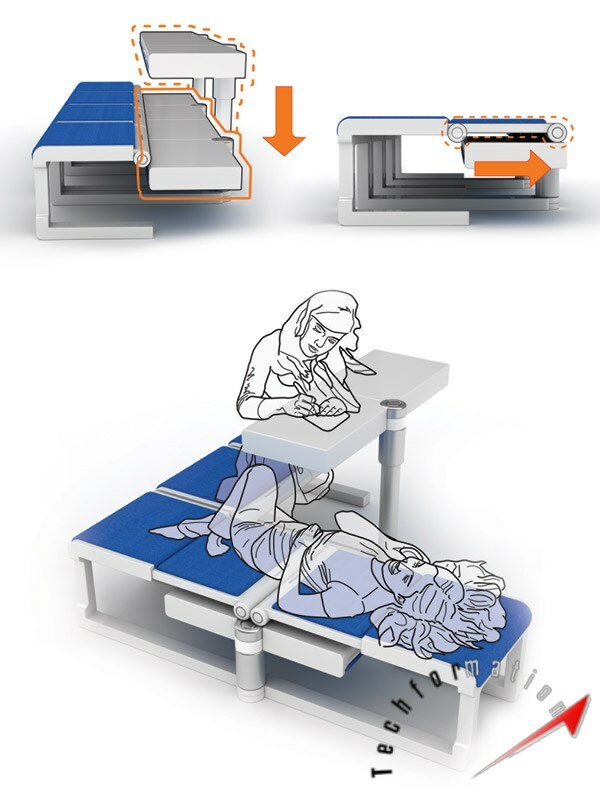 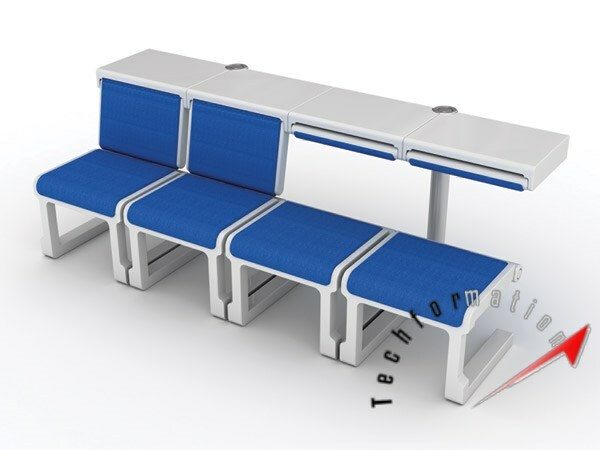 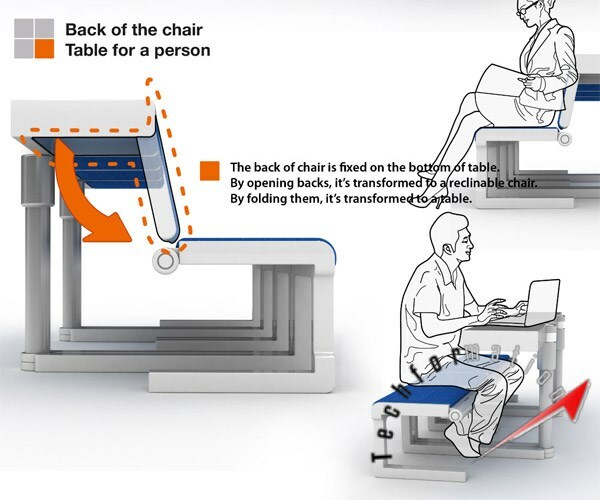 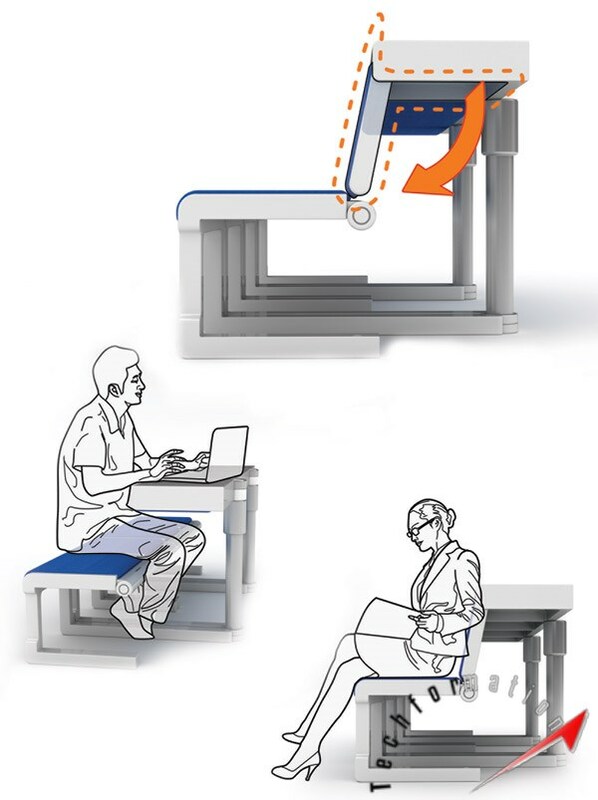 This is an integrated seat system concept designed especially for public places like airports and metro stations. 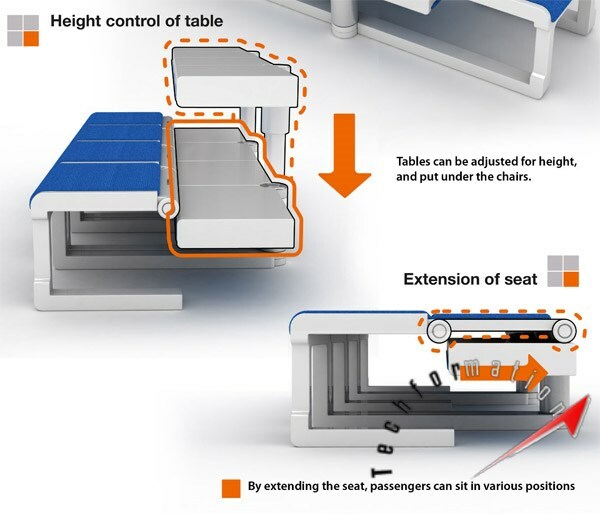 The design is not stationary but adjustable based on a single shaft. 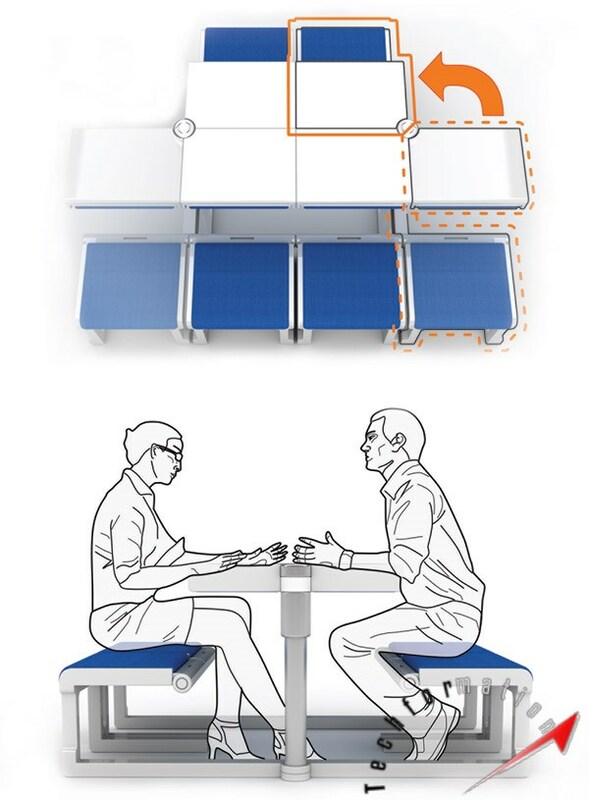 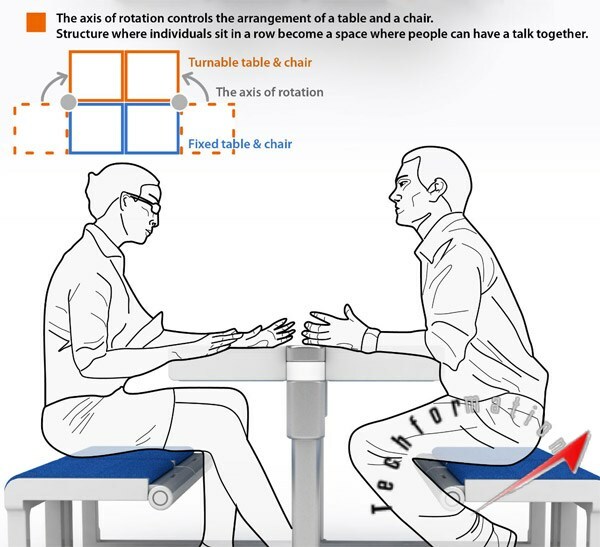 These seats can be arranged as a table, a bench and can be customized as desired. 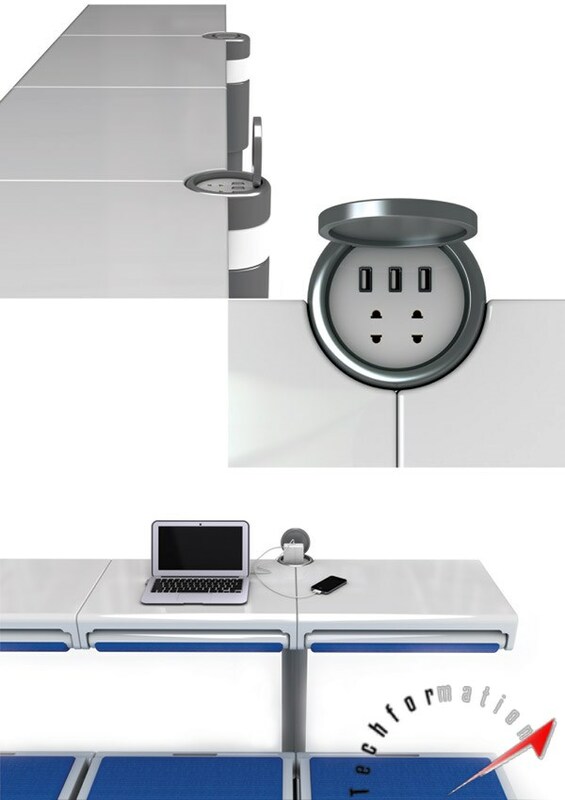 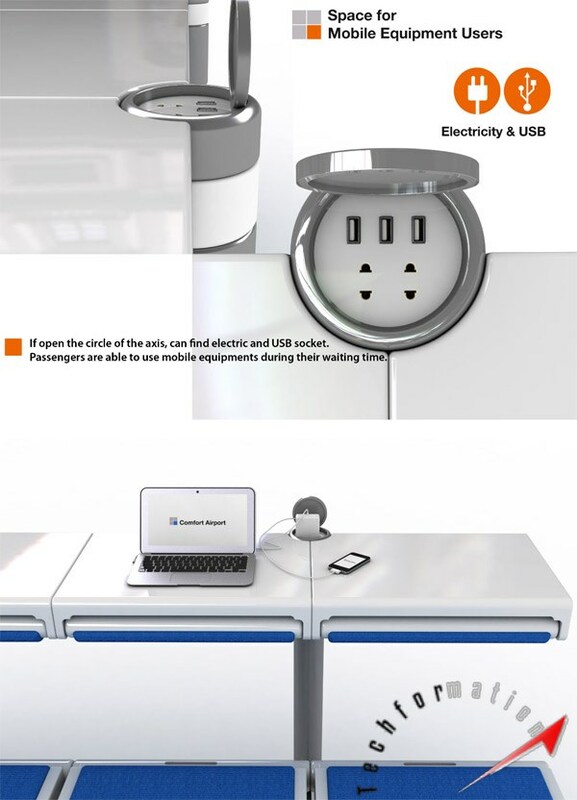 The best part in this system is, it is equipped with electric sockets to charge mobile or laptops.